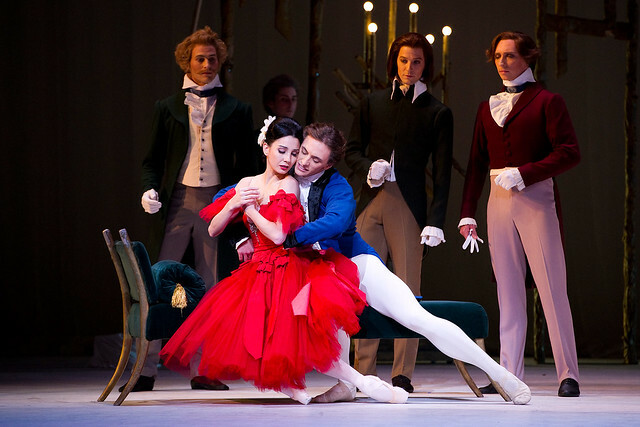 Tamara Rojo and Sergei Polunin will return to the Royal Opera House for three farewell performances of Marguerite and Armand on 12, 15 and 21 February. The pair danced the ballet to acclaim in October 2011. Natalia Osipova, Principal of the Mikhailovsky Ballet will make her Royal Ballet debut in Swan Lake. She will dance alongside regular Principal Guest Artist Carlos Acosta on 10, 13 and 25 October. I am delighted to be able to invite Natalia Osipova to appear with the Company for the first time next season and I know that she is really looking forward to appearing in our production of Swan Lake and to working with Carlos Acosta. WOW!!!! What great news re Tamara. Marguerite & Armand was breathtaking earlier this season and can't wait to see it again with this great cast. There is no comparison between any Ballerina in the Royal with a great Ballerina like Osipova. Anyone who saw Osipova dance Kitri, Medora and Giselle in London with the Bolshoi will know this - that single amazing Giselle when everyone left the theatre literally speechless. You simply cannot compare the two - Osipova is extraordinary, with such a life force and zest for dance when I on the stage. Well done Kevin for inviting her - the company will be inspired by her. Of course the Royal should invite guests so that London audiences can see the great dancers of the world today - most other major companies (Paris, ABT etc) invite guests. This has been sadly lacking at the Royal. This is very exciting news! They should film the Tamara and Serguei performance, it would be so extraordinary. I´m sure the Acosta-Osipova partnership will be breathtaking as well.